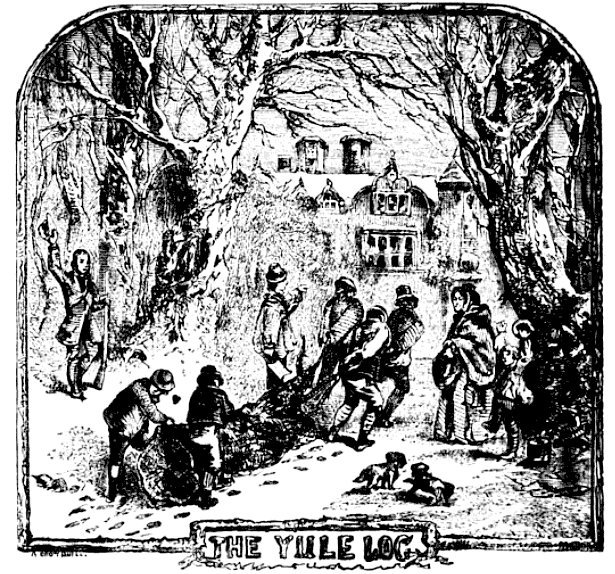 Though difficult to trace, as most traditions are, burning the Yule Log has become a symbol of prosperity and luck for the coming year. Stories have dated back to the 12th century when European winter festivals celebrated the winter solstice. The lighting of the log symbolized the return of the sun and longer days. Some people have each family member sit upon the Yule Log before it is burned for good luck. Others will write a wish to toss into the fire to ensure good luck for the coming year. All in all, it is a means to ward off evil spirits and bring good fortune to family and friends. The tradition is maintained from year to year by saving a small portion to use to light the next year's log. We all have our holiday traditions but nothing is seeped more in the tradition of winter activities than the town known as the birthplace of winter sports in America. Once again Lake Placid is bringing back traditions of ol'. The High Peaks Resort is resurrecting the Lake Placid Yule Log tradition hailing from the time of Melvin Dewey's Lake Placid Club. The Lake Placid Club opened in1896 and fostered the concept of a winter sports haven to guests that still draws in visitors today. From 1911 through 1980, the Yule Log continued bringing community and families together as part of the Lake Placid Club's rituals. With the conclusion of the 1980 Lake Placid Winter Olympics, the Lake Placid Club closed and with it took its Yule Log custom. Now, 32 years later the Yule Log custom has been resurrected and brought in all its finery to the High Peaks Resort where everyone, young and old, is encouraged to seek and find this symbol of light. According to High Peaks Resort Director of Marketing Lori Fitzgerald the 7 ft 'x 8 in birch log will be decorated with a big red bow for all to seek and find this December 10, as part of the annual Lake Placid Holiday Stroll. Custom dictates that a piece of the Yule Log is saved and then used to start the fire for the next year's log. In 1934 two residents of Palmer Lake, Colorado sent for a splinter of the Lake Placid Yule Log and held their first event that year. This year's log will be started from a piece of the Palmer Lake, CO Yule Log which ties back to the original Lake Placid tradition. So the Lake Placid Yule Log has come full circle and now High Peaks Resort hopes to share splinters of this historic custom with other communities. This year's celebration will start at 4:00 p.m. in the lobby of the High Peaks Resort. The seekers generally wear red and green capes (some will be provided but please wear your own if you have one.) The other mark of the Yule Log Hunt is to wear an evergreen sprig tied with a ribbon. No costume is required to participate so truly come as you are and just have fun. 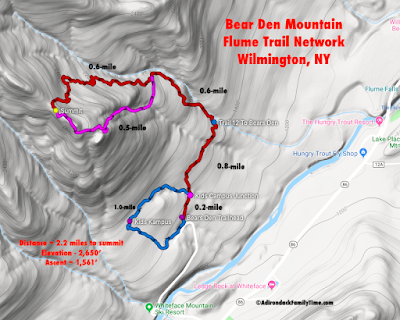 The hunt will take place within a ¼ mile radius of the resort. Upon finding the Yule Log, it will be dragged through the streets and brought to Mid's Park on Main Street. The fire will first be started with the Palmer Lake splinter and then the Yule Log burned. There are also a plethora of free family activities through the Holiday Stroll from crafts, restaurant food samplings, story time, movies, and gingerbread house making. All in all, it will be a festive time for everyone.